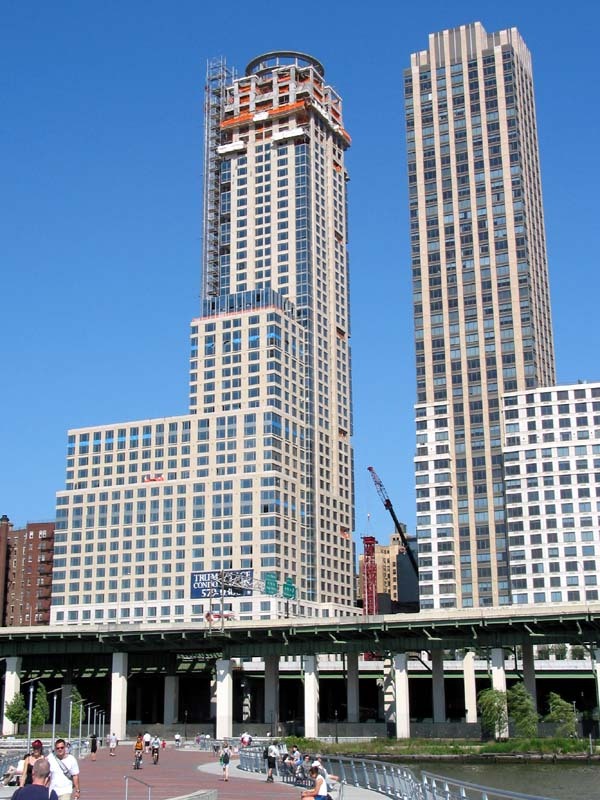 220 Riverside Boulevard with construction in progress on 240 Riverside Boulevard. 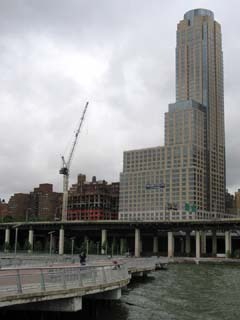 26 May 2003. 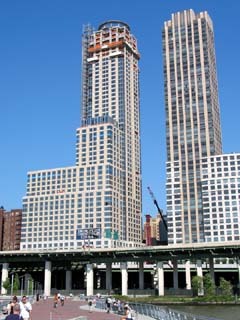 The view of 220 Riverside Boulevard at Trump Place condo from the riverfront pier in June of 2002. To the right is 200 Riverside Boulevard.